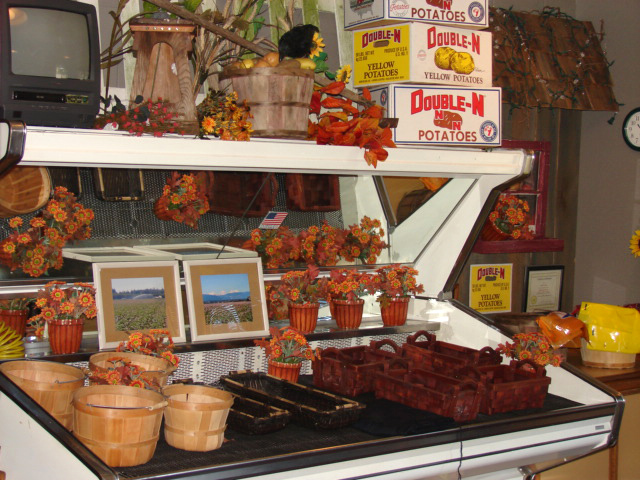 Open during the packing/shipping season, The Potato Shed is our connection with the community and serves as the go-to stop for Norm Nelson product direct from the grower. In the years since we opened, retail business has increased nearly every year. Even people from 50 to 100 miles away will make a “potato run” to buy large quantities to haul back to their neighbors. It’s also the nexus of our community-building efforts, funneling contributions and donations to our community’s school, athletic and charity programs.